Kapheino Coffee – Up your coffee game! Are you thinking it might be time to “up your coffee game“? Are you also thinking “what does that even mean and where do I start“? You’ve invited your closest friends over for dinner. You’re celebrating a promotion at work and you’ve prepared a delicious meal of Penne Arrabiata. You probably even made the pasta by hand. A simple yet sophisticated salad of arugula, shaved parmesan and balsamic vinegar perfectly complements the main meal. This masterpiece is followed by an amazing vanilla bean Panna Cotta. It wobbles like an epileptic jellyfish (which is a good thing). To accompany this gastronomic feast you serve a delightful yet precocious Pinot Gris. Your guests are suitably (and rightfully) impressed. The meal is done and it’s time for coffee with a piece of home-made Pistachio and Cranberry Biscotti. But all you have to offer is K-Cups. Or, heaven forbid, instant coffee. But there are the looks. And the awkward silence. This is the moment when you realise, “I need to up my coffee game”. 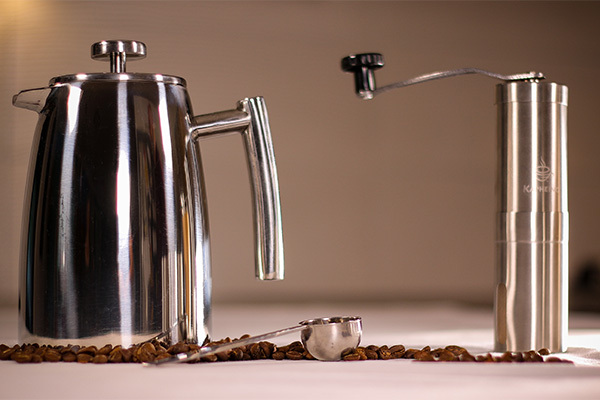 That means brewing delicious coffee that is worthy of the gourmet feast that your guests have just enjoyed. It means coffee that intoxicates and intrigues; like you might get at your favorite coffee shop (and that doesn’t include Starbucks or Dunkin’ Donuts). Is it as convenient as instant or coffee pods? Hell no! Nor should it be! Was that Penne Arrabiata a frozen microwave meal? I don’t think so. 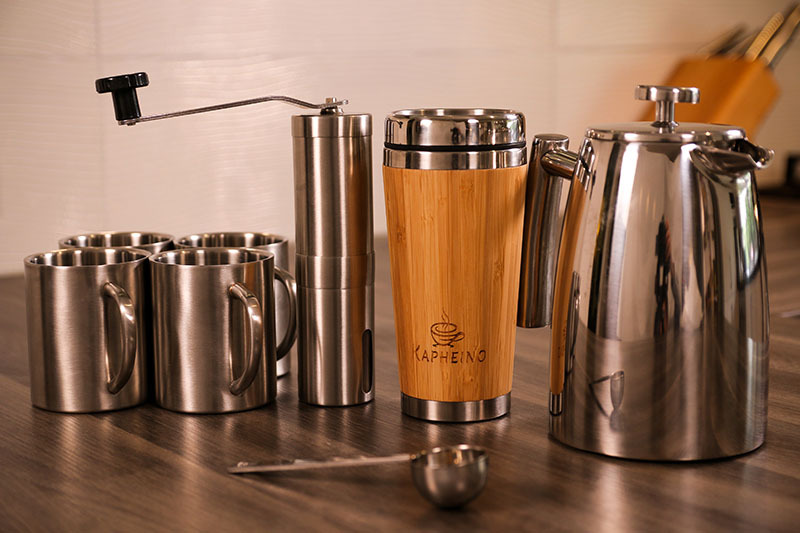 If you’ve decided the time is right to take your coffee game up a notch or two, Kapheino will help you get there. We’ve got the gear. We’ve got the coffee. We’ve got the know-how. And we’ll show you exactly how to become a coffee maestro (which is totally different to a coffee snob). Just head on over to our store. By providing your email address, you will automatically be subscribed to our newsletter (otherwise we can’t send you the coupon code). The coupon code can be used on any product at our store.